We visit numerous online ammunition retailers every day and keep track of who has the cheapest ammo in stock. 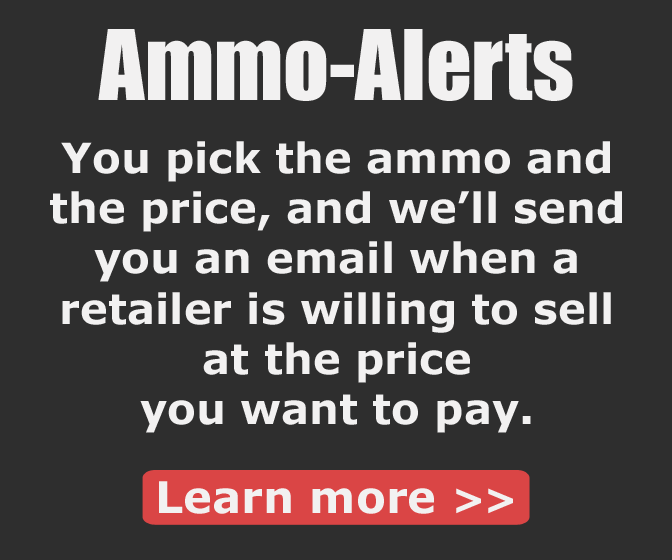 Are you an online ammo retailer? If you're an online retailer of ammunition and would like to advertise on this website or have your in-stock inventory included at this website, you can submit a feed of your in-stock inventory, or send us a message using the 'Contact Us' link found at the bottom of the page.